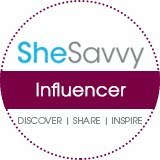 Welcome To The Christmas In July Mixcder Mic5 and ShareMe Headphones Giveaway! 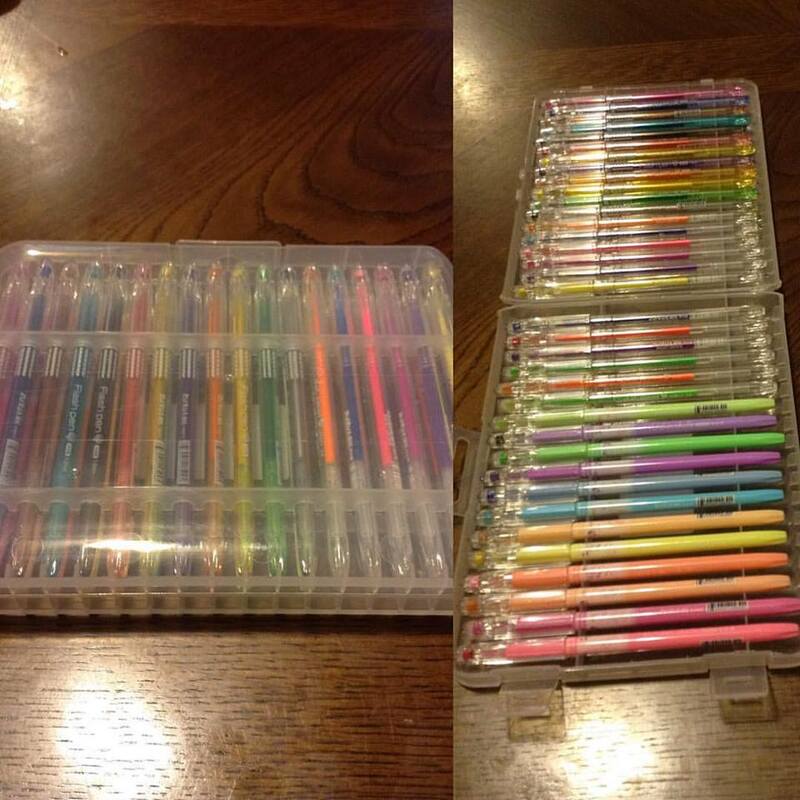 Storage cubes are one of those things that can hide messes, or organize items it really depends on how you use them. 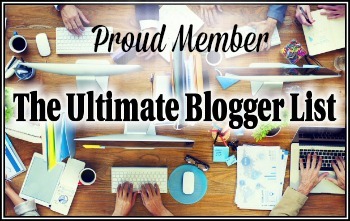 For us it helps organize items like my review items, the kids toys, and other things like electronics. You can even organize paperwork inside of them. We like how these storage cubes have handles on each side which we have never seen before and I have bought cubes like this in several stores over the years. 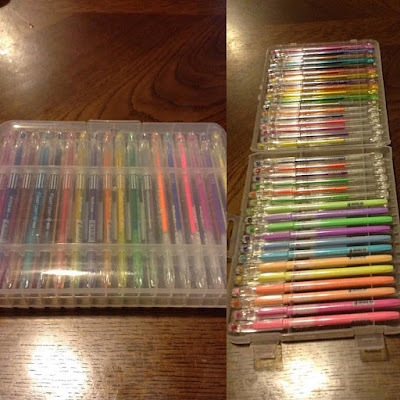 It is also nice to be able to buy 6 of the same color at one time so you don't have to wait for the store to get more of the color you want in stock just to find out that they discontinued that color. 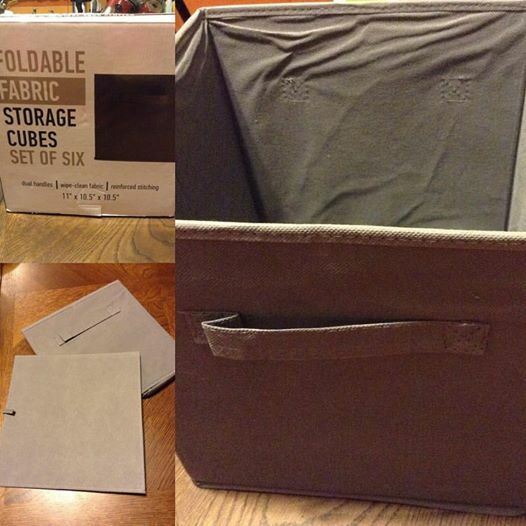 The B&C Home Goods storage cubes can be found on Amazon. What B&C Home Goods has to say about their product. GET ORGANIZED WITH AN ATTRACTIVE SOLUTION - Getting organized is a top priority but you don't have to sacrifice style to do it. This attractive 6 pack of dark gray fabric storage bins are designed to fit into almost any storage cube unit and hold a generous amount of toys, craft supplies, linens, games and more. 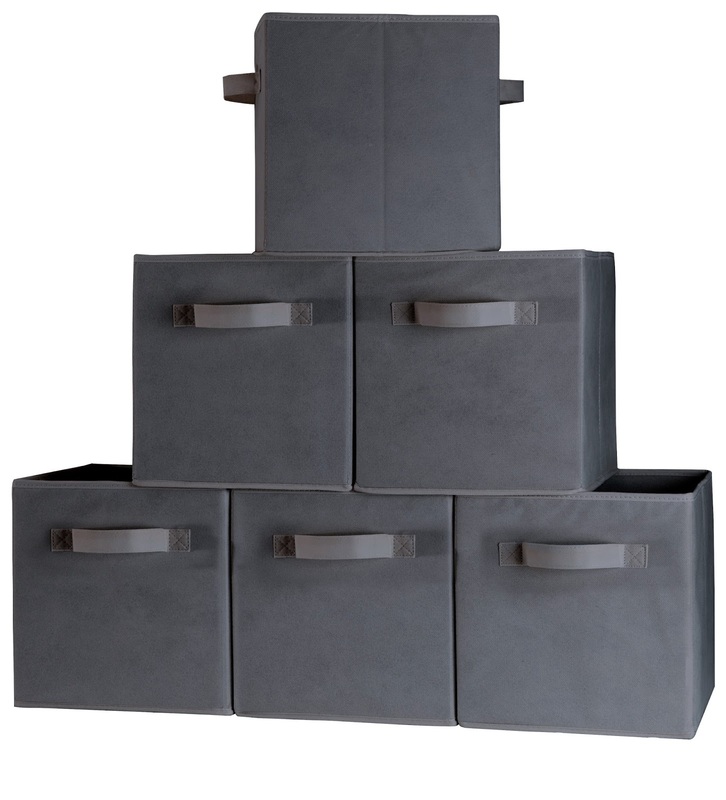 They conceal your clutter and mess without being an eyesore like other bins and storage solutions. Each cube measures 11 inches x 10.5 inches x 10.5 inches. DUAL REINFORCED HANDLES MAKE TRANSPORTATION EASY - Unlike every other storage basket out there, these bins have handles on BOTH sides making them easy to pick up and transport. Even kids can easily carry them! Each handle is reinforced and attached to the bin with extra-strength stitching so the bins can handle a heavy load. SAVE SPACE WITH COLLAPSIBLE DESIGN - If you ever find you don't need to use all six storage containers at once, simply remove the heavy-duty board bottom of the cube and fold the whole unit up. Each cube reduces to about half an inch in thickness and can be easily stored away until future use. DURABLE WIPE-CLEAN FABRIC - We get it - sometimes life is messy. Especially when it comes to kids and corralling clutter around the house. Made out of durable non-woven fabric, these storage bins with handles on both sides easily wipe clean with a damp rag so you don't have to worry about stains and smudge marks from dirty hands or normal wear. 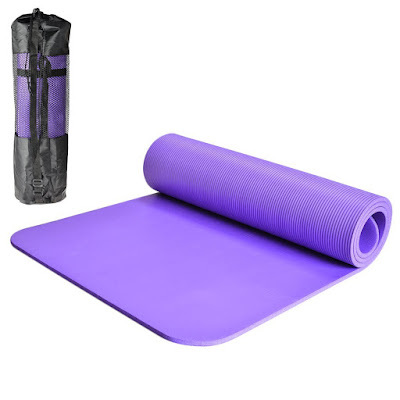 Disclosure: MarksvilleandMe received one or more of the products mentioned above as part of a promotion with Tomoson and B&C Home Goods. Regardless, MarksvilleandMe only recommends products or services we use personally and believe will be good for our readers. Some of the links in the article may be “affiliate links.” This means if you click on the link and purchase the item, I will receive compensation. If you would like MarksvilleandMe to review a product or service please contact us at marksvilleandme@gmail.com. Being elderly, disabled, short, or in pain can really make a difference on someones quality of being able to do things themselves. This is where the rotating reacher comes in. You can get things down from up high or pick things up from down low. 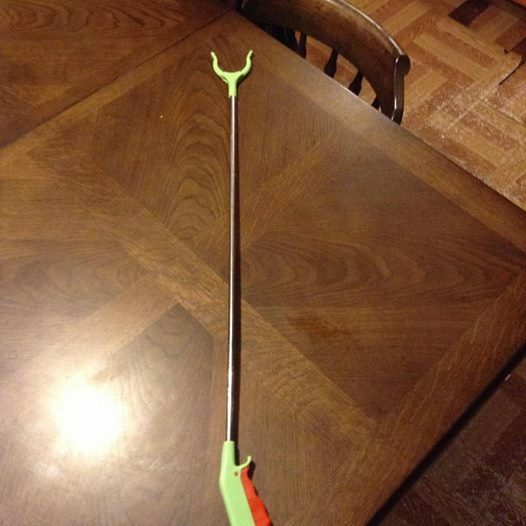 You can use these to pick up debris in your yard, or to help get things that fell behind your dryer. 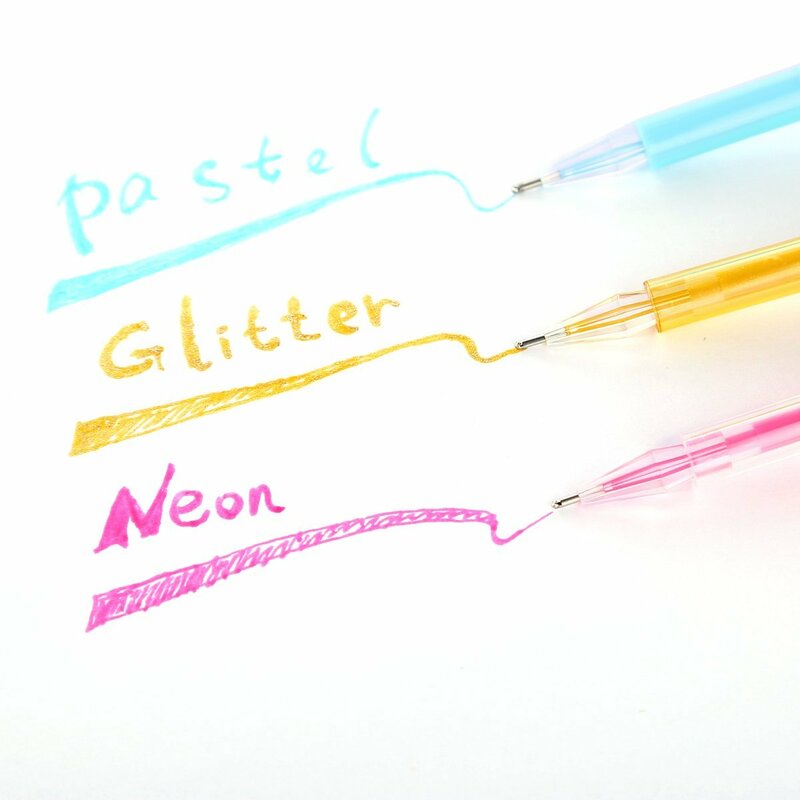 These grippers are easy to use. They do not have a locking function and you are going to try and pick up slippery items I suggest wrapping some rubber bands around the claws for more grip. Having several health issues these grippers are a god send. The Jackyled rotating grippers can be found on Amazon. 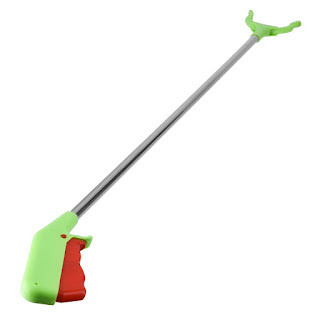 -Multi-purpose pick-up and clean-up tool is great for use in the home and around the yard. 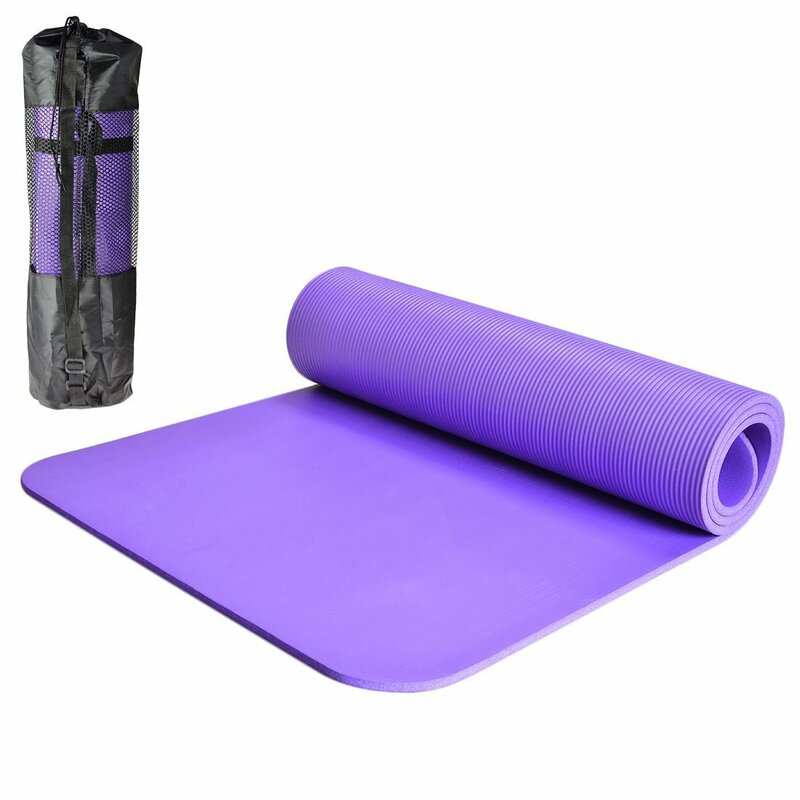 Also provides help for the physically disabled. -A handy, quality-crafted tool designed to provide additional reach for anyone affected by limited mobility. -The handle fits your hand, whether it is a big or small one. 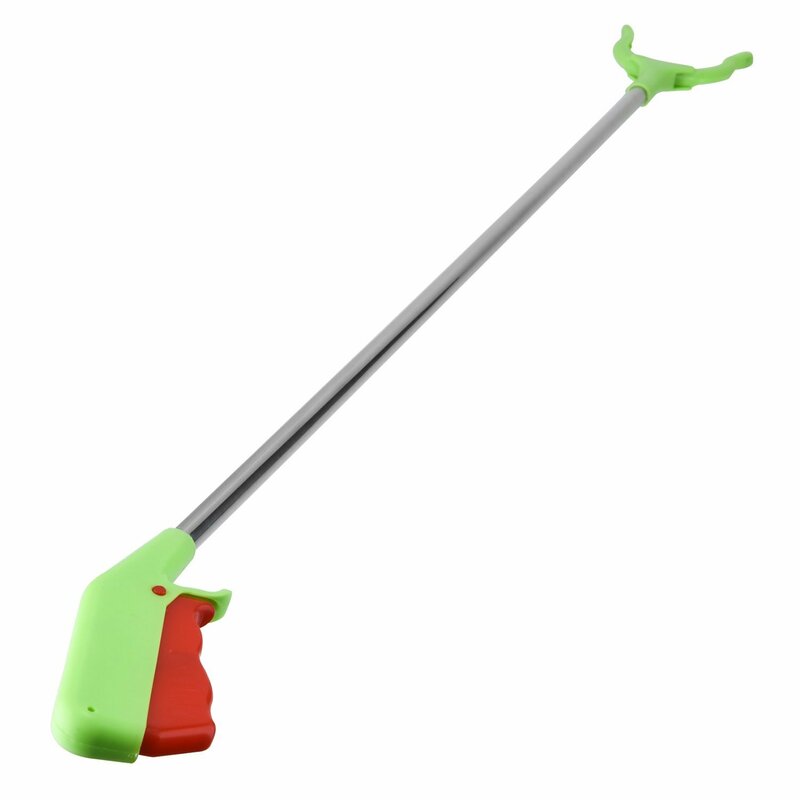 -At 3.3 feet in length, it allows you to easily pick things up off of the ground or to finally access items stuck on that pesky top shelf. -Its anodized aluminum frame is thin enough to rescue items trapped behind furniture, while zigzag pincers ensure that you are successful with each use. -Not designed for heavy lifting. 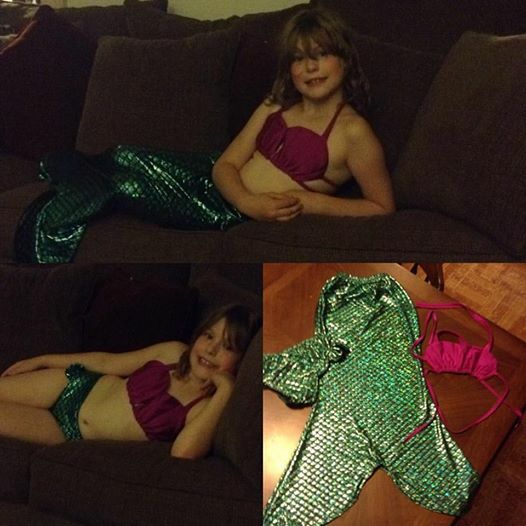 My daughter wanted a mermaid swimsuit without the hard tail in so I was able to find this one from Newland. They have quite a few designs to pick from. I chose this one due to the design looking so much like fish scales and the shell halter top is just too cute for words. My daughter loves this swim suit she said she looks just like the little mermaid. This fits her well even though she is 8 with a little room to grow over the summer. Very well made, lifelike scales, and super cute. Great for any mermaid lover. Newland swimwear can be found on Amazon. What Newland has to say about their product. The mermaid tail is hollow out at bottom and you can walk around. 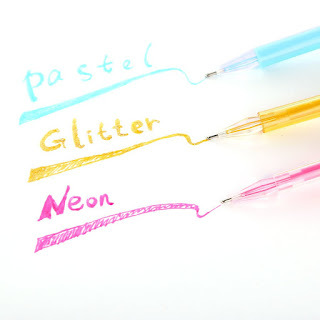 Disclosure: MarksvilleandMe received one or more of the products mentioned above as part of a promotion with Tomoson and Newland. Regardless, MarksvilleandMe only recommends products or services we use personally and believe will be good for our readers. Some of the links in the article may be “affiliate links.” This means if you click on the link and purchase the item, I will receive compensation. If you would like MarksvilleandMe to review a product or service please contact us at marksvilleandme@gmail.com. 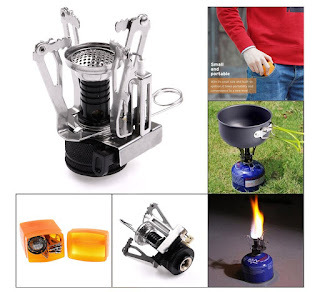 While camping you can cook in the great outdoors on a wood fire but some people prefer using a portable propane tank which can be used with the included attachment. I was very surprised when opening this to find all of the extras that were included. Love the poached egg dish that was a pleasant extra. 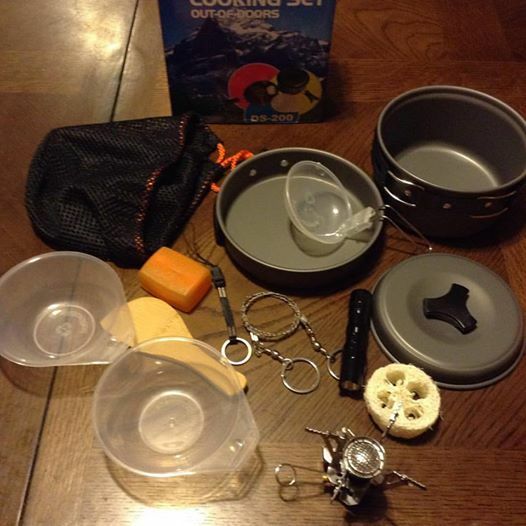 This is a really nice kit to be able to cook with when you are camping. It won't cook for a big family but would be good for one or two people. I would like to see a set like this for family size camp cooking in the future. This would make a great gift for your favorite camping lover. This camping cooking set can be found on Amazon. What Wolfyok has to say about their product. 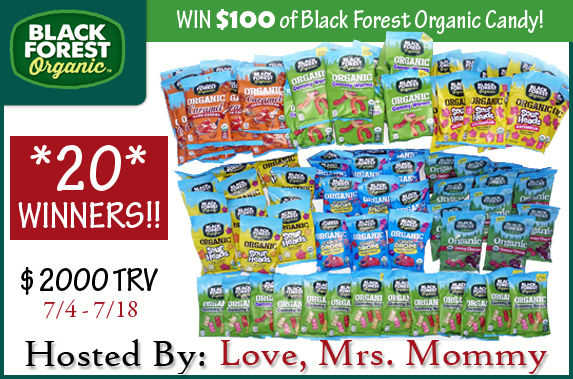 Disclosure: MarksvilleandMe received one or more of the products mentioned above as part of a promotion with Tomoson and Wolfyok. Regardless, MarksvilleandMe only recommends products or services we use personally and believe will be good for our readers. Some of the links in the article may be “affiliate links.” This means if you click on the link and purchase the item, I will receive compensation. If you would like MarksvilleandMe to review a product or service please contact us at marksvilleandme@gmail.com. As a parent with 6 children I sailed through most of them without a lick of lice, but for some reason even though our girls only go to school and home I have had one had it several times this year. Not a happy mom at all. The treatments are dangerous for the children, and the schools make it like a plague instead of it just being something that happens. The worst thing is the price of everything to rid your house of the little critters if you don't catch them right away. We use natural methods when possible because I do not want to put my children or pets in harms way for something you really can't control. This spray from Pest Shot is made in America, is natural, and safe to use around pets and children. You can use it on many surfaces. I would use this on products that can not be washed or bagged for at least 30 days like couches, mattresses, etc. I think this is a great product for those who may have a lice infestation. 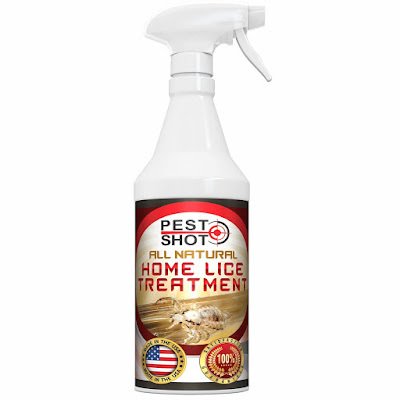 Pest Shot home lice treatment can be found on Amazon. 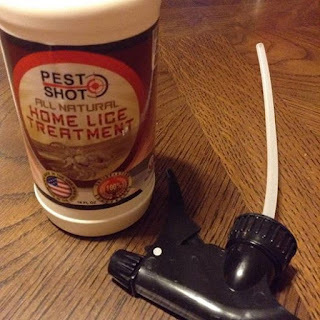 What Pest Shot has to say about their product. When lice infestations hit, they can spread through homes, schools and communities like wildfire. Keeping long hair pulled back and avoiding head-to-head contact are good preventative measures, but they're unfortunately not enough. 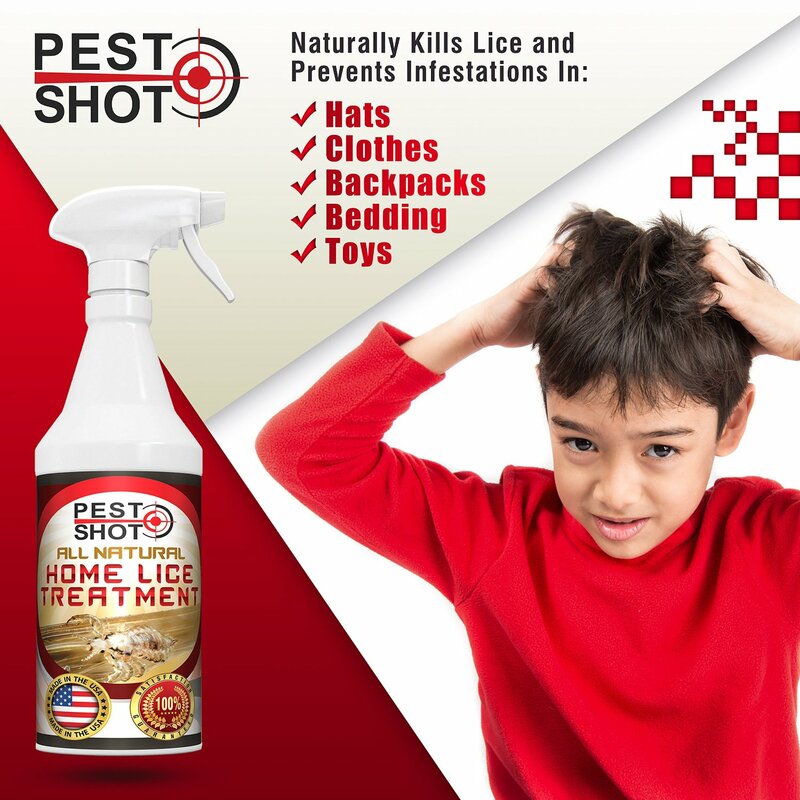 Pest Shot stops lice in their tracks with our Home Lice Treatment spray! 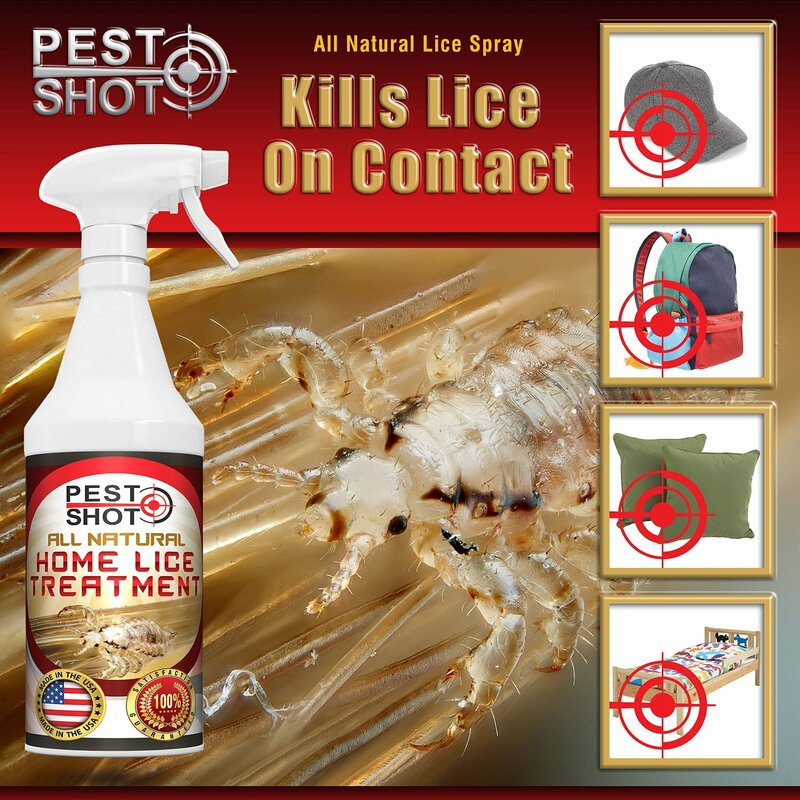 It targets lice, nits, and eggs to kill on contact for quick results you can count on. And if your child's school, camp or daycare is in the midst of an outbreak, but your son or daughter hasn't yet been affected, our spray can help repel any potential invaders! If your kids can't resist sharing hats and other articles of clothing, give the garments a spray along with backpacks, pillows and bedding for an ultra-strong force field that protects the whole home! We specially crafted our non-toxic blend to be safe to use around kids and pets for a no-worry treatment. Always be prepared, because who knows when an outbreak will strike? 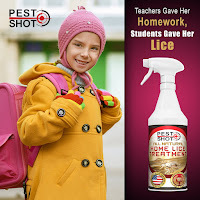 Pest Shot is nature's answer to lice! Organic and all natural ingredients like Peppermint and Geranium Oil team up to create a highly potent blend that's as effective as it is eco-friendly. You won't find any chemicals or fillers here! 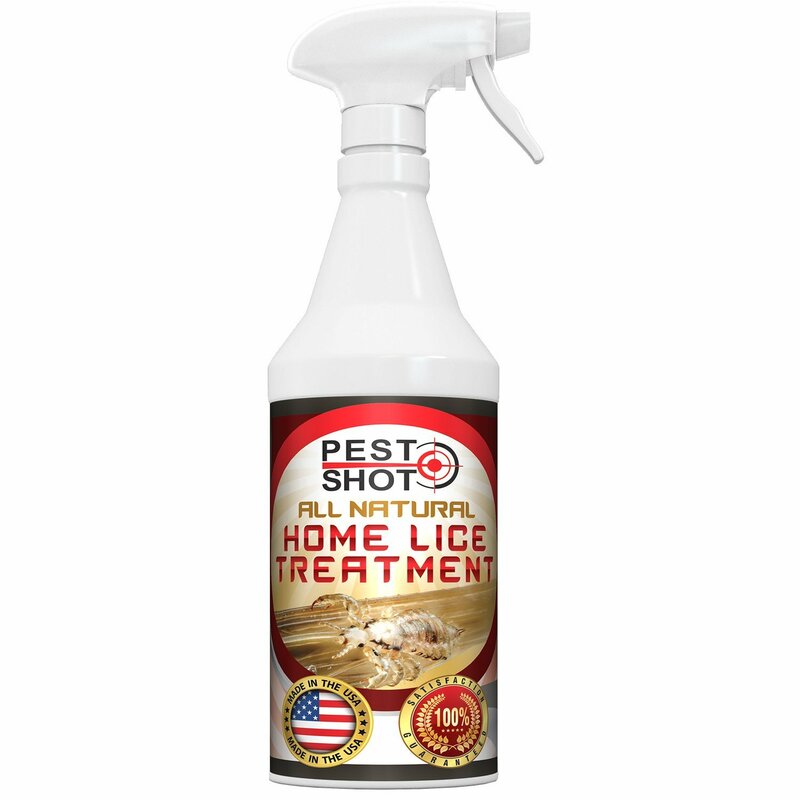 Why Choose Our Home Lice Treatment? ELIMINATE LICE INFESTATION: When your kids come home with head lice, panic is a parent's first instinct. 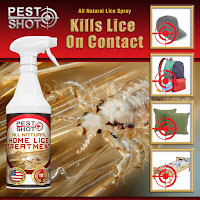 Luckily, Pest Shot makes lice removal easier than ever! It kills on contact and acts fast to bring your child relief and halt the spread of the invasion. PROTECT YOUR HOME: Want to know how to get rid of lice for good? Hit them with your Pest Shot! Give your hats, backpacks, pillows, bedding and coats a spray of our powerful formula for a tough defense that repels lice. 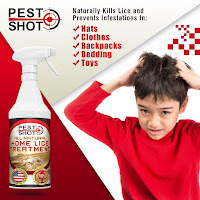 SAFE FOR KIDS: Itchy lice bites will be a problem of the past thanks to our non-toxic spray! 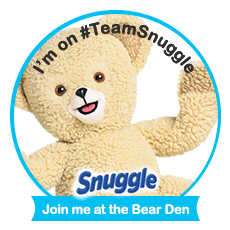 It's safe to use around your children and won't leave behind any strong odors. ORGANIC INGREDIENTS: Made in the USA and environmentally friendly, our Home Lice Treatment puts other bug sprays to shame! The blend of all natural ingredients brings reliable, effective results without resorting to chemical-based toxins and fumes. LOVE IT OR YOUR MONEY BACK: When lice symptoms first appear, you need to tackle the problem head-on before it grows. We developed our safe, easy-to-use spray to help bring you comfort and peace of mind. If our treatment doesn't completely solve your problem, simply contact our customer service team. Our satisfaction guarantee entitles you to a no-questions-asked refund! 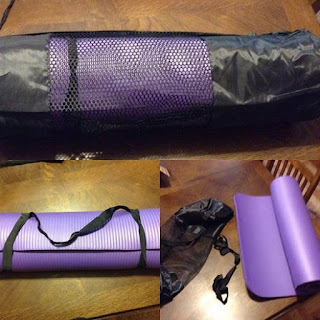 Disclosure: MarksvilleandMe received one or more of the products mentioned above as part of a promotion with Tomoson and Pest Shot. Regardless, MarksvilleandMe only recommends products or services we use personally and believe will be good for our readers. Some of the links in the article may be “affiliate links.” This means if you click on the link and purchase the item, I will receive compensation. If you would like MarksvilleandMe to review a product or service please contact us at marksvilleandme@gmail.com. 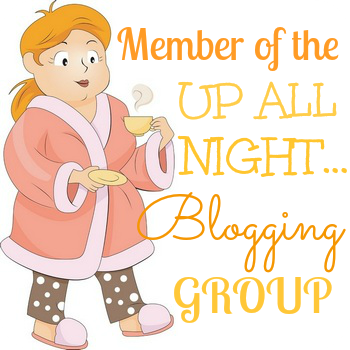 Enter for a chance to win the Galante Baby $75 Credit Giveaway! Galante Baby makes handmade baby clothes you can cherish! They are made with Pima cotton which is extremely high quality, soft and organic. Discerning parents and doting grandparents now choose Galante Baby to provide the softest, most comfortable clothes for their precious little darlings. These handmade baby clothes often become family heirlooms. 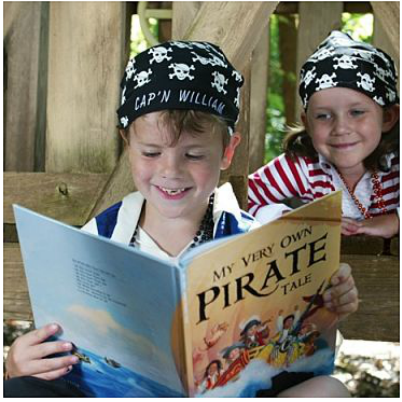 They carry everything you need from bibs, hats, onsies, trousers, outfits to blankets. Read my review about Galante Baby clothes here. 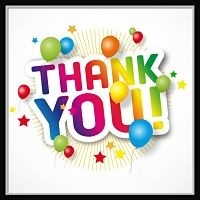 For more information, visit Galantebaby.com and stop by their very family friendly Facebook page. They even have a baby registry! 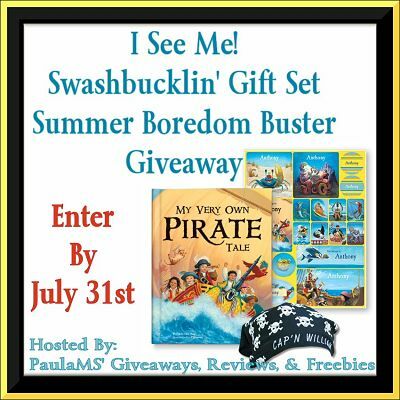 Giveaway dates: 6/25 1 am CST - 7/25 11:59 pm. CST Open to entrants in the United States, 18+. One set of entries per person. 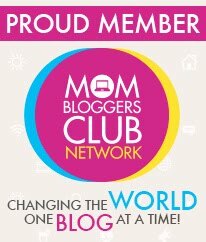 Prize: The winner will receive a $75 credit toward any purchase on Galantebaby.com. Please read the rules and disclaimers below the entry form before entering.